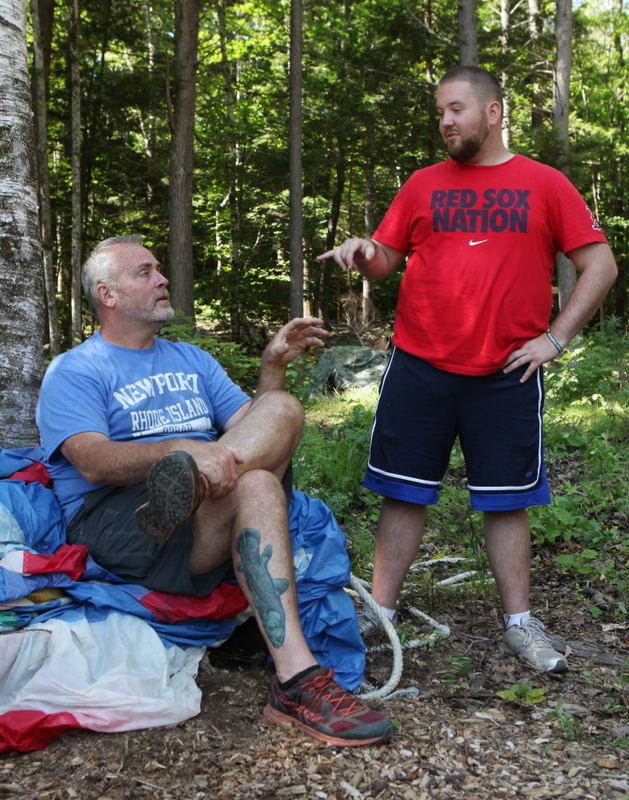 The second annual Durham Warriors Survival Challenge is organized by Bob Crowley, Maine's 'Survivor' winner. DURHAM — Twenty-one athletes and fans of “Survivor” got to live out their dreams in the Maine woods during the past four days. The competitors paid $300 each to participate in the second annual Durham Warriors Survival Challenge, a condensed version of the CBS TV reality show that pits a group of competitors against one another for six weeks in remote spots around the globe with nothing but a few basic necessities as they vie for $1 million and other prizes. 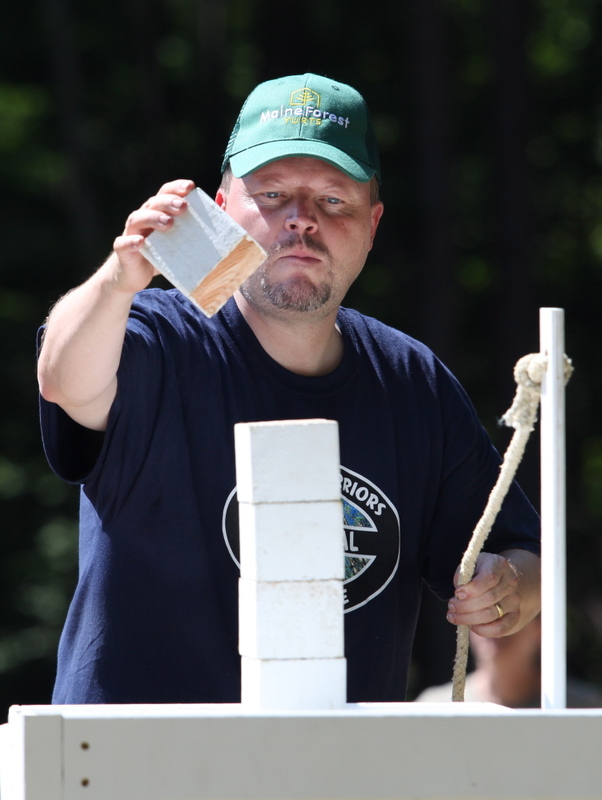 The Durham event, which was held on the property at the Maine Forest Yurts Campground, was organized by Bob Crowley, a high school physics teacher from South Portland who won the show in 2008 at age 57, outwitting his competitors at a series of games, obstacle courses and other challenges. The winner of the Durham contest just walked away with bragging rights, instead of cash. But that didn’t deter the competitors. “That is no small thing. 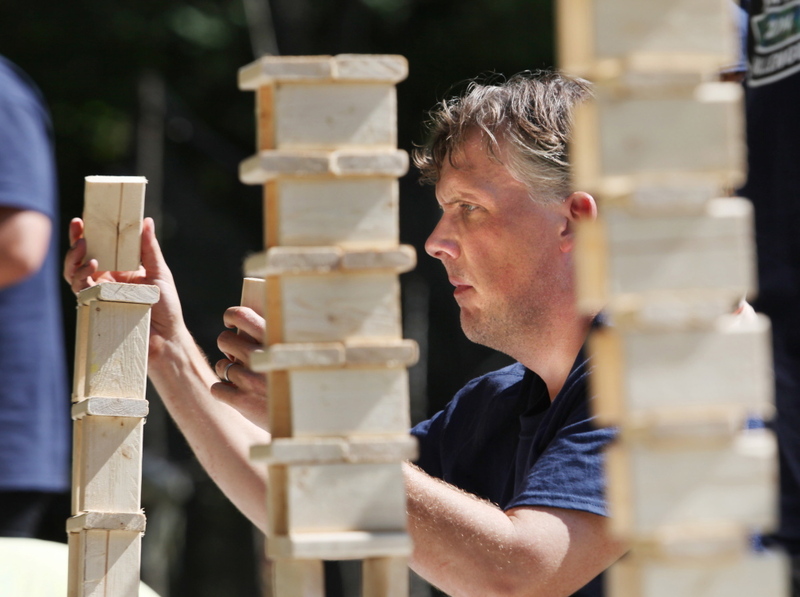 It is really tough and challenging to win this game,” said Durham challenge competitor Ronnie Rudd, 40, an electrician from West Columbia, South Carolina. Laura Burns, a middle school teacher from Orland Park, Illinois, won the Durham contest, defeating Jan Weigle of Switzerland in the finale, according to Crowley’s wife, Peggy Crowley. Reached Sunday evening, she said the event raised about $10,000 for her husband’s Durham Warriors Project, a nonprofit organization set up to make it possible for military veterans and personnel, as well as school and youth groups, to stay at Crowley’s Maine Forest Yurts Campground for free. The challenge was sponsored by dozens of local organizations. About 50 volunteers, including Durham’s emergency medical technician squad, helped out. Many of the competitors were also raising money for charitable causes. Competitors traveled from across the country, as well as Switzerland, to play survival in the Maine woods Thursday through Sunday, while their families and friends cheered from the sidelines. 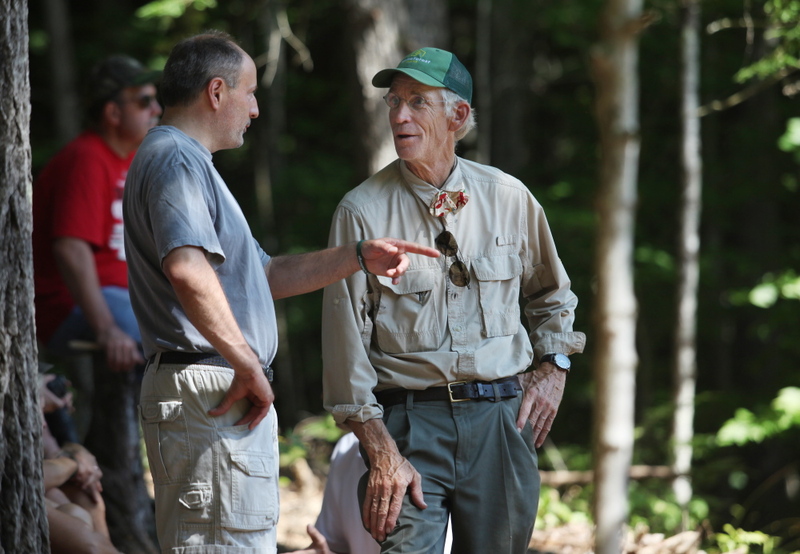 The challenge was many of the participants’ maiden experience in the deep Maine woods. “It’s the next best thing to the show,” said Mike Visaggio, 28, of Hoboken, New Jersey, who works in money laundering prevention at a bank. Like many of the other competitors at the Durham challenge, Visaggio is a huge fan of the television show and has tried unsuccessfully to become a contestant. The Durham challenge featured Richard Hatch, the show’s first winner. Three other former “Survivor” competitors – Kathy Sleckman, Matt Bischoff and Coby Archa – played alongside the 18 “non-celebrity” competitors. 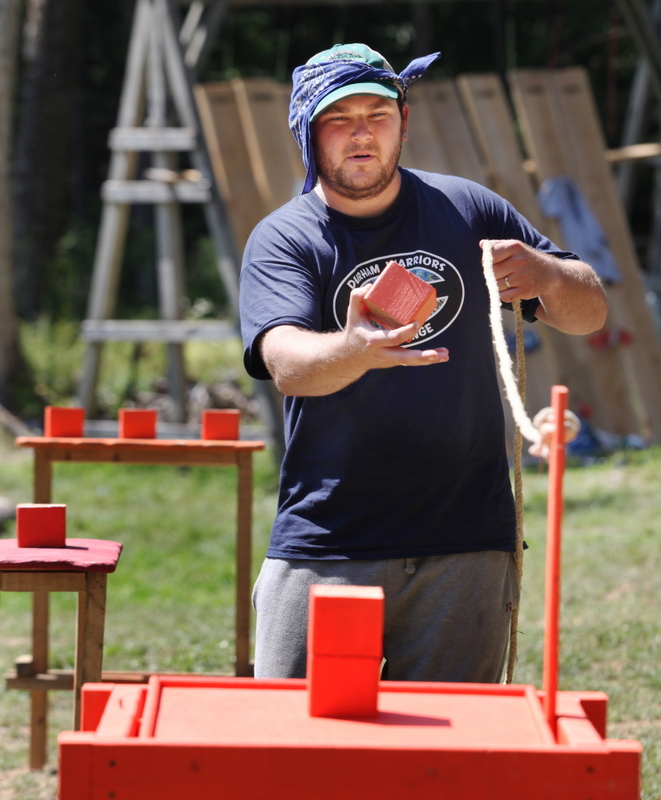 Crowley said former two-time “Survivor” champion Sandra Diaz-Twine came to the Durham challenge to help out, but did not compete. John Vataha of Scottsdale, Arizona, who collects memorabilia from past “Survivor” shows, played the part of Jeff Probst, host of “Survivor,” at the Durham Survival challenge. Contestants were divided up into three tribes and given some basic resources, such as a tarp, a flint and a bag of rice, just like the TV show. The event featured other familiar elements, such as immunity challenges, an immunity idol and tribal councils complete with tiki lamps. The event was recorded on video. Competitors said they were totally engrossed by the Durham challenge. “It comes down to social intelligence,” said competitor Becca Brakeley, 32, a Portland pediatrician who made it down to the final nine before being voted off by her competitors Sunday morning. 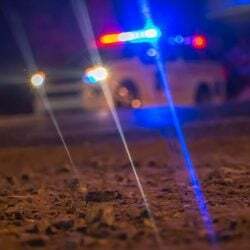 Brakeley said it was her sense of integrity and honesty – she cannot tell a lie – that both hurt her and helped her. A lifelong athlete, Brakeley said she was also a threat to her competitors. “It was hunting season for the athletes,” said her fiance, Jesse Wall, who watched Brakeley compete for most of the competition. But Brakeley said the experience was just plain enjoyable, including figuring out how to make the rice rations last. “I am pumped. This was really, really fun,” Brakeley said. Crowley and his wife, who now live down the street from the campground, said they hope the momentum of the Durham Warriors Survival Challenge continues. While they had to scramble to find competitors the first year, 50 people applied for the 18 spots this year. “It will naturally grow because they have an endless supply of people who are desperate to get on the show,” said Hatch, the first “Survivor” winner.